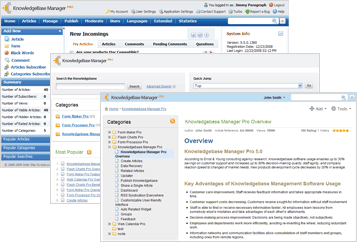 Knowledge Base Manager Pro is a web-based knowledge management system developed to support and enhance the organizational processes of knowledge sharing, creation, storage, retrieval, transfer, and application. Improve customer care, decrease customer support costs, help staff to find necessary information faster, improve decision-making process, increase efficiency of employees, and preserve integrity of business knowledge with our knowledge management software solution. Try Online Demo Check Features Buy Now! Whatever they call it: form builder, form creator or form generator, you found it! Form Maker Pro – Form mail and form generation suite! Whatever they call it: form builder, form creator or form generator, you found it! The Form Maker Pro is truly the snazziest web application for creating usable and great-looking web site forms. With its powerful and intuitive interface you can easily build custom web forms and add them to your site. It has never been so fast and easy. Moreover, Form Maker Pro contains presets and templates, so you can have a simple form created and running in 10 minutes only! 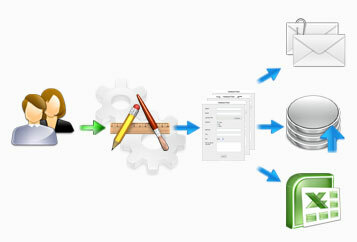 Form Processor Pro is an excellent solution for collecting, sorting and storing information from your web site visitors. Form Processor Pro – Processing your web forms! 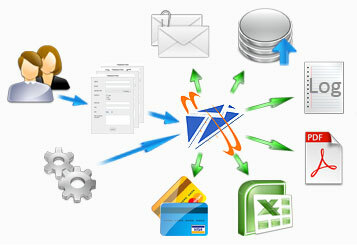 Mail Form: Email Form Processor Pro is a tool used to gather feedback and client’s information on your web sites. With over 12,000 users worldwide, Form Processor Pro offers a mass of useful features to take full advantage of your web site forms. The simplest thing Form Processor Pro can do is send information from web forms to email addresses and save it to a database or Excel file for further importing into your database.